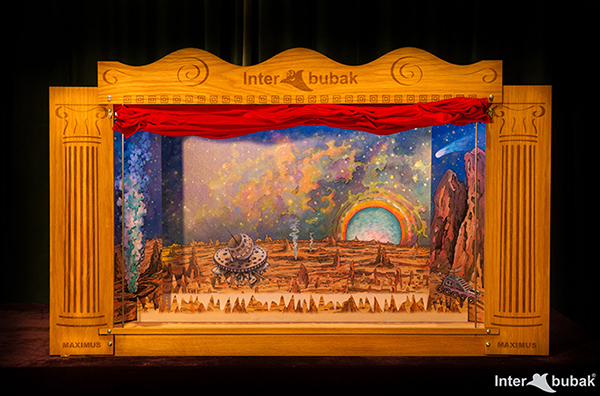 Interbubak Maximus is a great portable puppet theatre for medium-size puppets ( 20 – 33 cm) with a red velvet curtain. This handmade prime model is made from solid oak timber. The main set of scenes size is 100 x 51 cm! The high-performance RGB Led lighting for model Maximus is available as Accessory or you can choose model Interbubak Maximus Led, which contains the Led lighting.